The book is available at the MIT Press Bookstore. Bert Plomp is research professor and project manager at Energy research Centre of the Netherlands (ECN) and Illinois Institute of Technology. He was also lector Solar Electricity & Transport at NHL University of Applied Sciences. Solar photovoltaic technology and its applications are rapidly developing at the present time. Increasingly people are realizing that a transition towards a sustainable energy supply is a necessity if our society remain prosperous and if prosperity is to extend to a larger part of our planet’s population. In distinction to other sustainable energy technologies, solar technology is apart from application in e.g. large solar farms, very well suited for integration in buildings and building products. You may say that the built environment is a natural habitat for PV technology, and actually its introduction started decades ago with the installation of PV panels on roofs of residential houses. However, a larger surface area is waiting to be used for energy generation: roofs and facades of utility buildings, and numerous infrastructural objects like sound barrier walls and bridges. More technical development of system concepts and components is still needed to assure optimal efficiencies in these cases. However, another important factor of acceptation by building owners, architects and municipalities for the implementation of solar photovoltaic technology in the built environment is: aesthetics. You may have been surprised by the title of this manual. 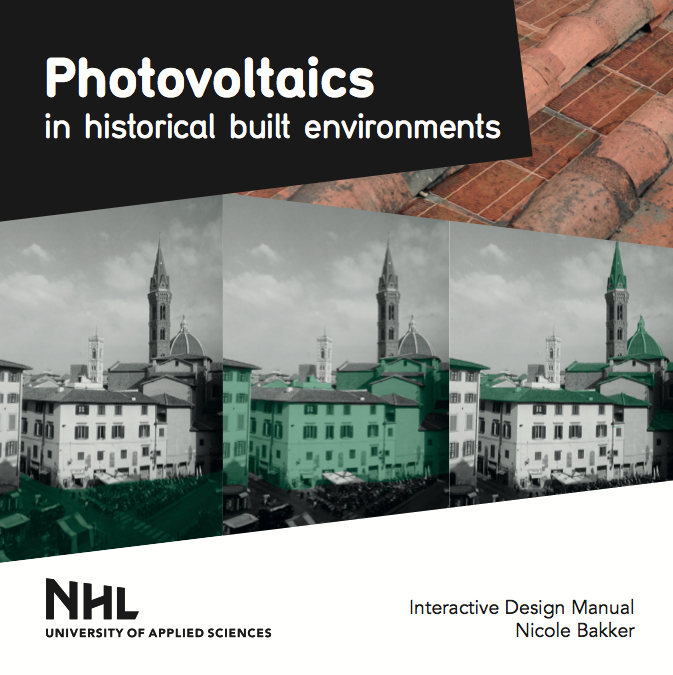 Why on earth should you combine PV technology with heritage? Well, it is here that esthetic demands often play a dominant role. Nicole Bakker realized this when she was working on a design project called “Eco-Acupuncture” in Florence in September 2012 (University of Melbourne, 2012). The core questions to be dealt with in this project were: What would a sustainable Florence look like in 2035, and what steps must be taken to get there? 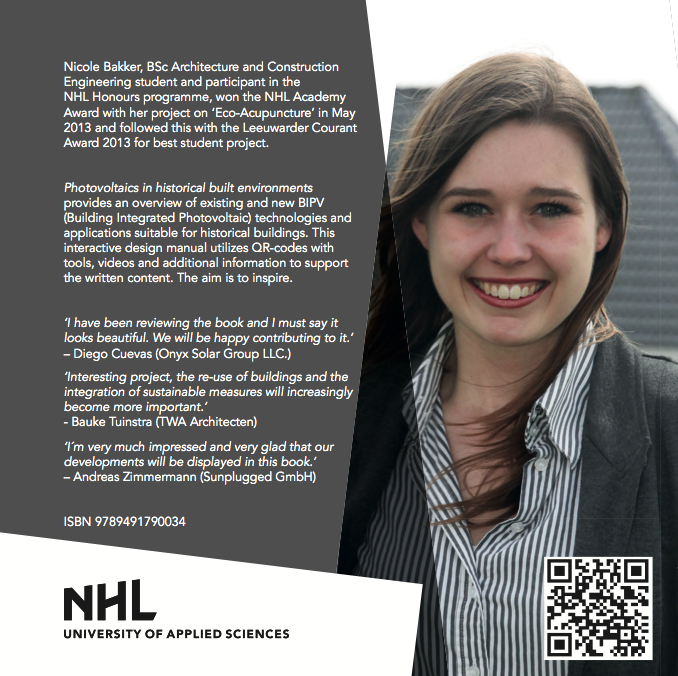 After an interview with municipality authorities on the difficulties of exploiting historical buildings economically, Nicole decided to focus on the energy aspect. Although the PV market is a niche market, the generation of solar electricity may help the economics of preserving historic buildings. The book in front of you is not predominantly a technical manual. In particular, it illustrates the benefits of applying PV technology products that already exist, that are currently being developed, or that have been thought of in an aesthetic way in buildings. As Nicole Bakker says: “Above all, this book aims to inspire”.